My 48 hour animation challenge KeyframeFame produced 3 animations which are now screened on 22 BBC Big Screens across the UK. Our 3rd year Group project was entered into the Ulster Media Show. Also winning first prize at the Science Shop awards 2012. I hosted an extra life charity gaming event in which our participants raised over $680 for childrens hospitals. January 2013, I hosted and organised Global Game Jam for Coleraine district, in which we produced a game ‘Heart Defender‘ in 48 hours. February 2013, I hosted second annual KeyframeFame event in which participants created animations based from outcomes of Rory’s Story Cubes. You need to know what I can provide, how much it will cost and how we can work together efficiently. If you’re looking for a cheap job with little research or uneducated design, you’ll get this, whereas if you work with me you’ll get professional service and excellent design. I work by researching your company and ideas, accessing each step and applying my knowledge to best design your project. I will usually work with a lot of communication providing updates and reassurance to you that the design choices are suitable and what you have specified. 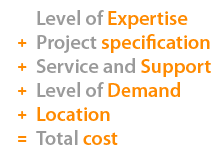 When completing the project I will send you the final document via Email, disc or other specified by you. Prices vary depending on design work and time involved, I work very meticulously to provide the best work that I can offer. I access your specified job and we can discuss prices on terms that we are both happy with. To work efficiently and as quickly as possible here are a few questions that I will ask you, it may be useful to consider these and have answers and content ready for me to look through. A brief description of your company / your ideas for design. Are there any current designs you like? Do you have pre-existing content which I can work with? What size of document do you require? Is it for Print or Online use? Payments are locally dealt with transactions of invoice and cheque. Online payments may be made with PayPal. Hello, would you like to send me an email with details of what you would like.